In a speech broadcast on the 19:00 national news programme on 31 December 2014, Chinese President Xi Jinping continued breaking tradition set by former presidents and, instead of resorting to the promotion of political ideology, as had been the case under his predecessors, continued using words that the actual commoner could actually understand. Twice did the president even resort to “netspeak”. The president’s two “netspeak” keywords were man pin de (蛮拼的), which meant to put an effort in doing something (even if it didn’t turn out great or had issues at the end), and dian zan (点赞), in essence, to Like something (yes, that Like as in Facebook). The only keyword not to pop up: the president’s Internet nickname himself, Xi Dada (习大大), otherwise known in English as “Uncle Xi” or “Big Xi” (given he is the big leader of China now). However, Xi Dada remains visible even on the official Xinhua News Agency’s website and in many of the People’s Daily posts on WeChat. Content of the speech were twice last year’s, with the president, now China’s most powerful leader since the reforms began, increasingly had a clearer idea of what was next for the country. 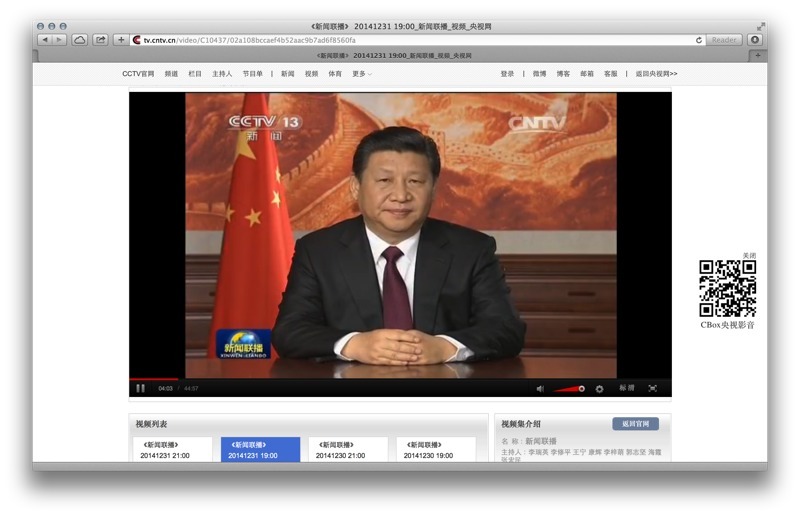 If in the 2014 message, aired in late 2013, Xi was a little sketchy on the details, this time, there was no need to second-guess what the president was thinking about. He was very firm on continuing reforms, stomping out corruption, and for China to be more active on the world stage. This is not to discredit the former leader, Hu Jintao, however. Even though Hu’s mastery of “netspeak” was limited, he did use the “famous” zheteng (折腾) in a late 2008 speech commemorating 30 years of the reforms started by Deng Xiaoping. Then, zheteng, a colloquial phrase heard more often over the dinner table in northeastern China than in an official government speech, was the word, as the former president affirmed that he will not be wishy-washy with his intentions and will stick to the reforms. Zheteng, indeed, meant basically to end up in such a tussle that any gains were in essence nixed, thus in essence messing about with nothing accomplished in the end — precisely what Hu did not want to see happen! Next story Apple Stores in Guangzhou (Canton), Nanjing and Zhengzhou Soon?